George was a life member of the National Rifle Association, Single Action Shooting Society, a member of the Aircraft Owners and Pilots Association and was a Shriner. 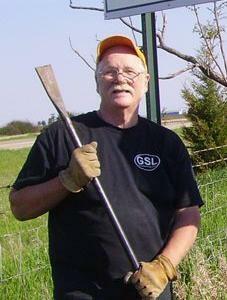 He also was a member of the Our Savior Lutheran Church, Winfield, Illinois. 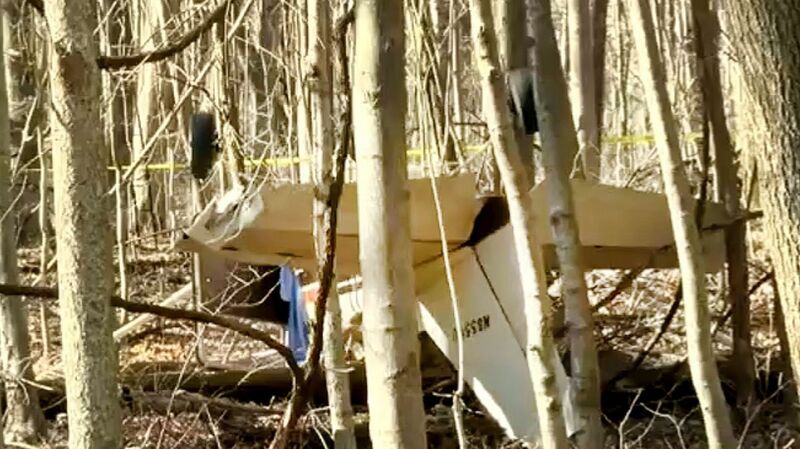 On January 27, 2018, about 0121 eastern standard time, a Cessna 172F, N8559U, collided with trees and impacted terrain near Williamsport, Indiana. The commercial pilot was fatally injured and the airplane was destroyed. The airplane was registered to and operated by Kilo Aviation, LLC, Lacon, Illinois, under the provisions of Title 14 Code of Federal Regulations Part 91 as a ferry flight. Night visual meteorological conditions prevailed, and no flight plan had been filed. The flight originated from Rickenbacker International Airport (LCK), Columbus, Ohio, at 2130, and was destined for Vermilion Regional Airport (DNV), Danville, Illinois. According to a representative of Kilo Aviation, he and the pilot departed Marshall County Airport (C75), Lacon, Illinois, about 1330 in his airplane and flew to Orange County Airport (OMH), Orange, Virginia, arriving there about 1600. The pilot was to ferry the newly-purchased accident airplane back to C75. The pilot departed OMH in the accident airplane about 1730. The representative of Kilo Aviation departed in his airplane to attend business elsewhere. The pilot flew to LCK, arriving there shortly after 2000. According to the fuel invoice, the airplane was serviced with 31 gallons of fuel between 2056 and 2103. The pilot then departed LCK. According to a report submitted by a Transportation Safety Specialist (air traffic control) with the National Transportation Safety Board (NTSB) Operational Factors (AS-30) division, using OpsView, radar, and Global Positioning System (GPS) data, he was able to recreate the airplane's flight track. The data depicts the airplane departing LCK and flying west-northwest and crossing into Indiana. At a point just south of Kokomo, Indiana, the airplane turns to a more westerly heading. The airplane continues to a point about 9 miles east of Danville, Illinois, where radar contact is lost. The pilot held a commercial pilot certificate with airplane single- and multiengine land and instrument ratings. He also held a BasicMed certificate, dated July 21, 2017. According to Federal Aviation Administration (FAA) documents, he had logged an estimated 1,000 flight hours, of which 100 hours were in a Cessna 172. The airplane, serial number 17252459, was manufactured in1965. It was powered by a Continental O-300-C5 engine, serial number 17252459, rated at 145 horsepower, driving a McCauley 2-blade, all metal, fixed-pitch propeller, model number 1C172MDM653. According to the Cessna 172F "Cruise and Range Performance Chart," the airplane's total useable fuel quantity was 36 gallons. Flying at 5,000 ft at full power, the engine would consume about 9.8 gallons per hour and have an endurance of about 3.7 hours. The airplane's two main fuel tanks held a total of 40 gallons of fuel (36 gallons useable). The airplane was also equipped with Flint Aero auxiliary fuel tanks (Supplemental Type Certificate SA1618WE) that provided an additional 23 gallons of fuel. However, the wing fuel filler caps for the auxiliary tanks were placarded inoperative, and the fuel gauges for the auxiliary tanks were placarded inoperative. No transfer fuel pump switch was found. The last annual inspection was performed on July 7, 2016, and the last 100-hour inspection was performed on July 25, 2017. The engine was overhauled to factory limits on July 28, 2008, when it had accrued 4,525 total hours. The engine had accrued another 257.7 hours since major overhaul, totaling 4,782 hours. At the time of the accident, both the airframe and engine had accumulated 4,782.7 hours. At 0135, the reported weather at DNV, located 8 miles to the west of the accident site, included: wind, 200° at 21 knots, gusting to 29 knots; visibility, 10 miles; ceiling, 5,000 feet overcast; temperature 09°C. ; dew point, -01°C. ; altimeter setting, 30.09 inches of mercury. The wreckage was located in hilly, wooded terrain at an elevation of 621 feet above mean sea level. Measurements indicated that the airplane struck trees on a magnetic heading of 180º and came to rest inverted on a magnetic heading of 282º. Examination of the wreckage revealed extensive compression damage to the forward fuselage. Both wings had leading edge crush damage. All four corners of the airplane were identified. All flight control surfaces remained attached to the airplane. The fuel selector handle and valve were in the "BOTH" tanks selected position. A small amount of fuel was found in the firewall fuel strainer. Both main fuel tanks were intact. No fuel was observed inside the tanks and no fuel smell was noticed at the site. The two-bladed propeller remained attached to the crankshaft. One propeller blade was slightly bowed aft about two-thirds of the way from the hub to the tip. The other propeller blade was bent aft about half-way from the hub to the tip. No chordwise scratches or leading-edge damage were observed on either any of the propeller blades. On March 28, 2019, the engine was examined at the facilities of AMF Aviation, Springfield, Tennessee. The top spark plugs were removed and exhibited light and dark colored combustion deposits. The electrodes exhibited normal worn-out signatures when compared to the Champion check-a-plug chart. The cylinder combustion chambers were examined with a lighted borescope with no anomalies noted. The oil screen was free of debris. The crankshaft was rotated by hand using the propeller. Continuity to the accessory section and throughout the valve train was obtained. The magnetos produced spark on all six top ignition leads when the crankshaft was rotated, and impulse coupling engagement was heard. The throttle and mixture arms on the carburetor moved freely by hand from stop to stop, and the throttle actuated the accelerator pump. The fuel inlet screen was free of debris. The carburetor was disassembled; no anomalies were noted. There was no fuel in the carburetor. The carburetor air box was free of obstructions. The examination of the engine did not reveal any anomalies that would have prevented normal operation and production of power. Central Indiana Forensic Associates, Fishers, Indiana, performed an autopsy on the pilot. Death was attributed to "blunt force trauma to the head, chest, and abdomen." A toxicology screen performed by NMS Labs found that the pilot had 0.20 mcg/ml caffeine in peripheral blood, 0.25 mcg/ml warfarin in peripheral blood, and 300 ng/ml opiates in urine. The toxicology screen performed by FAA's Bioaeronautical Science Research Laboratory, Oklahoma City, Oklahoma, found no evidence of carboxyhemoglobin or ethanol. Metoprolol at 0.408 (ug/mL, ug/g), morphine at 0.013 (ug/mL, ug/g), hydromorphone at 0.028 (ug/mL, ug/g), codeine, and warfarin were detected in urine. Warfarin was also detected in blood. According to FAA records, at the time of his last medical exam on August 25, 2016, the pilot reported dermatologic conditions, atrial fibrillation, and a hernia repair. He reported using metoprolol (a beta blocker used to control the heart rate in atrial fibrillation), warfarin (a blood thinner used to prevent strokes in patients with atrial fibrillation) and testosterone. None of these medications are considered impairing. Because of his atrial fibrillation, he was granted a special issuance third-class medical certificate limited by a requirement to wear corrective lenses and marked, "Not valid for any class after 8/30/2017." The pilot applied for status under the BasicMed program, and it was granted in July 2017. Codeine is an opioid analgesic; morphine and hydromorphone are two of its active metabolites; all of these substances are psychoactive and impairing when present in blood at significant levels. However, small amounts of these opioids found in urine can be due to the ingestion of poppy seeds rather than pharmaceuticals. Looks like he encountered a serious headwind above 3500' that increased even at lower altitudes as he proceeded west bound.